Have you ever wondered if your school enewsletters are really serving their purpose? Sending enewsletters can be risky. There are still some people who think that all enewsletters are spam. You also need accept that a number of recipients will choose to unsubscribe. We always check our analytics to review our email open and click-through rates, and this can lead us to question our activity – is the time and effort we spend producing school enewsletters really worth it? While no email platforms currently allow the use of embedded videos in email, you can make it appear that you have a video in your newsletter by using an animated gif or overlaying a play button on a video still. This will catch your subscribers’ attention and ignite their curiosity. The image link can also make your enewsletters more visually appealing and compelling. You can improve the number of conversions from your enewsletters by linking CTAs directly. Make sure that your CTAs complement the content of your enewsletters to ensure they are relevant. You can make your CTAs more attractive by adding image links and writing convincing copy. An alt text is the text displayed whenever an image doesn’t load in a browser. It is an essential component of your enewsletters since many email clients do not load images automatically. In fact, Gmail may automatically download images, but won’t display them unless you’ve chosen to do so – around 43 percent of Gmail users read their emails without enabling the images. Without alt text, there is a possibility that your enewsletter will have a lot of white space. You can utilise these white spaces by adding alt text that functions as plain text CTA buttons so you can allow your subscribers to check your links without having to download images. If around 47 percent of consumers expect a web page to load in two seconds or less, then the same must be true with emails. While image-heavy content may look attractive to your subscribers, you should also be wary of the overall file size of your enewsletters. 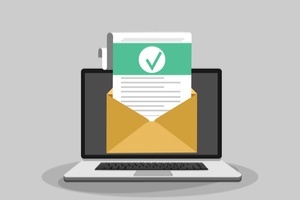 If your enewsletters are too large, they will take more time to load, and this will impact your subscribers’ impression of your content or cause the email to go unread altogether. Optimise the file size of your images to compress the size of your enewsletter. You should try these tricks to improve the quality and effectiveness of your school enewsletters. We hope these simple steps will help you improve your open and click-through rates, turning your subscribers into customers. To know how you can maximise the potential of your enewsletters and build a strong subscriber base, download our complimentary ebook.